This chair features a play of two of the most characteristic shapes of the creative poetry of Pierre Cardin – the Cube. The leitmotif for the line is the cube. The shape is used for the feet and the back, which rests on a strong yet slender and superlightweight aluminium frame. 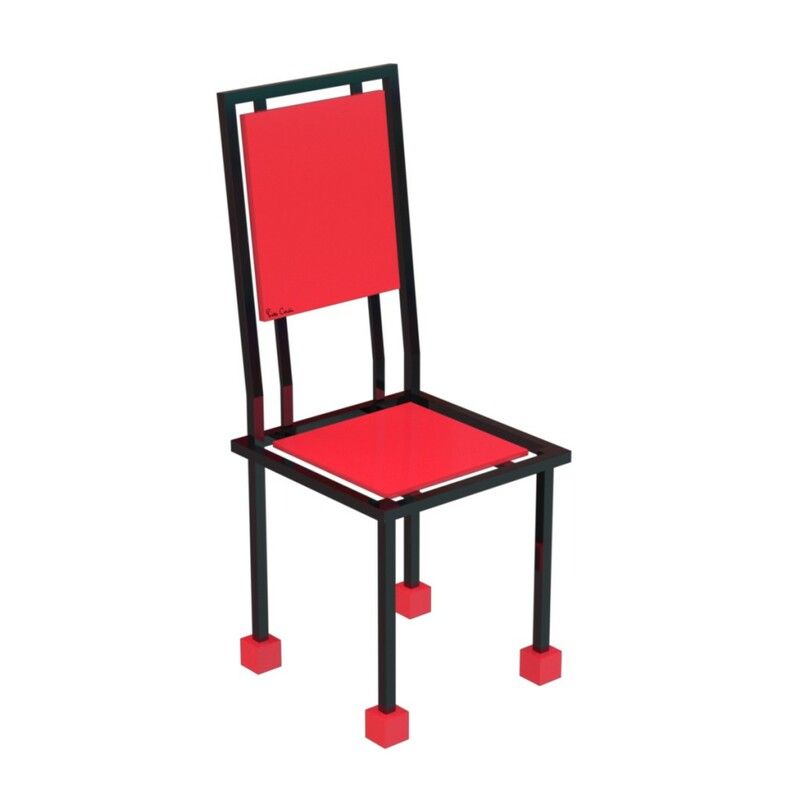 The objective is to create a light, fresh feeling through the use of simple, basic elements like brightly coloured cubes on a black structure.Thanks to a clever design that leaves a degree of freedom in the four lower cubes elements, up to eight of these chairs can be stacked one on top of another. See the full chair’s series gallery.